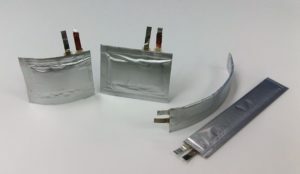 Ultra-thin – The complete packaged battery is 1.35mm thick. Enhanced Energy Density – The battery support high current. It can support 1C charging and discharging. Safety – The nanofiber maintains a stable and safe electrolyte medium. Even if the battery is cut or pierced, there is no overheating or explosion. It will maintain power supply for a short period of time. 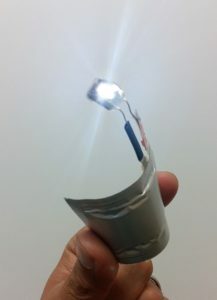 Customizable Form Factor – Lionrock has the flexibility to tailor make the battery to fit different dimensionsoffers customized form factor to suit the need of wearable industry startup ecosystem.